Equipped with 45-ton bollard pull capacity and powered by a pair of 1,323 KW engines, the vessel is powerful enough to handle some of the largest ships in operation today. Advanced fire-fighting systems from Norway add to the capabilities of these tugboats. 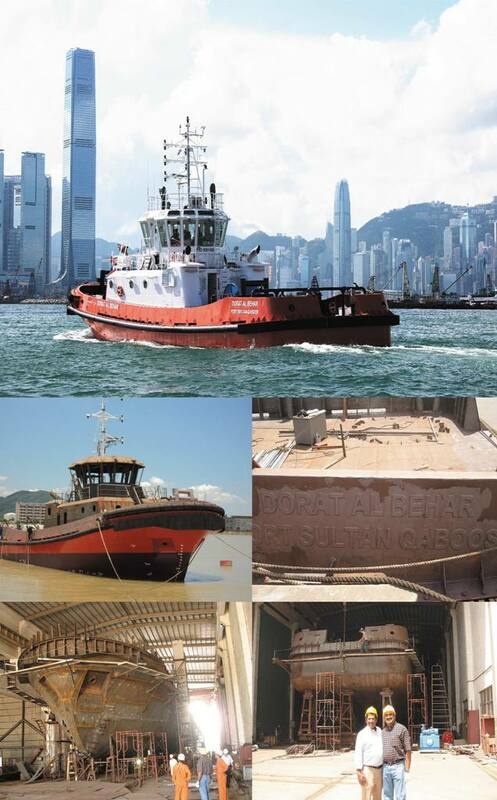 The Chinese built vessels will be primarily employed for the berthing and unberthing of ships visiting the Dry-dock for repair and maintenance. The service will be extended to other vessels that will come calling when commercial operations commence at Duqm Port. Please contact: 0091-99345815 or email renganathan@khimjiramdas.com for more information.